We have always welcomed and accommodated everybody in to our Snow Candy family ski chalets Morzine. There are many family ski chalets Morzine but what stands us out from the rest. First of all, as you can see from the featured photo, we are a family run business. We are 3 generations of keen to please, nice people with mountains of experience. Furthermore, we know first hand, the needs of children on and off the ski slopes. 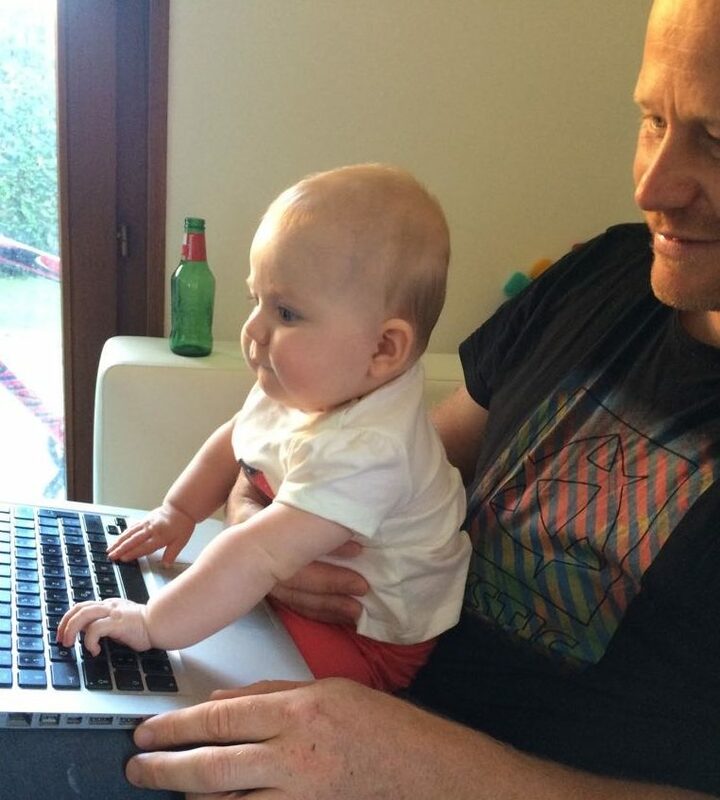 The future Managing Director of Snow Candy Luxury Ski Chalets Morzine is hard at work in the photo. As you can see, she is a little one herself! While clearly very keen 🙂 Start em young! That’s what we say. So here she is getting stuck in to the accounts, or is she tweeking the Snow Candy website or maybe checking the email. Joking aside, our luxury ski chalets are great for the children, firstly due to their location. All chalets are set away from the road with outdoor snowman building space. There are heated boot warmers, coat warmers and glove warmers to give the children a great dry start to the day. In addition, our Snow Candy team are highly trained in the art of hot chocolate making. Feedback reveals that we make the best hot chocolate in Morzine! Maybe its our secret ingredient. Or is it the mountain of marsh mellows that we melt in to the hot chocolate? Who knows? But certainly our hot chocolates are always a hit with the children… and the big kids too! We fully understand what it takes to get the children ready for the slopes and our team will be on hand to help. In conclusion, we love having families stay with us, so come join us for a hassle free ski holiday to remember. Not booked your Catered Chalet morzine yet? See our Luxury Ski Chalets, and take a look at our Ski Chalet Prices What are you waiting for?